"Late in the afternoon on Friday, May 16th, the FAA issued STC SA02141LA for our sliding canopy. This has been a five year project, but it is finally finished. The Swift has been placed back into the standard category." 18 March 2008: The flight tests are progressing. I have calibrated the new pitot head and started stall testing today. Above and below are pictures of the flying pitot head during climbout to the stall practice area. 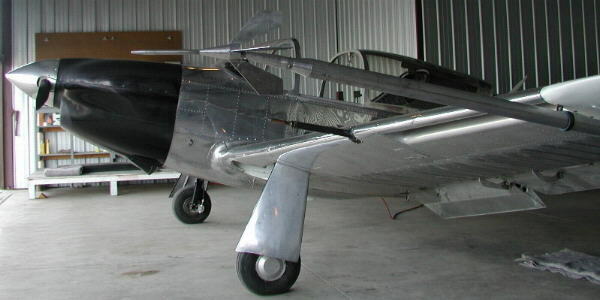 12 March 2008: For the slow speed runs during the flight tests, a gimbaled head, or swivel head pitot-static head was added. After trying to find one, the decision was made to design and manufacture our own. 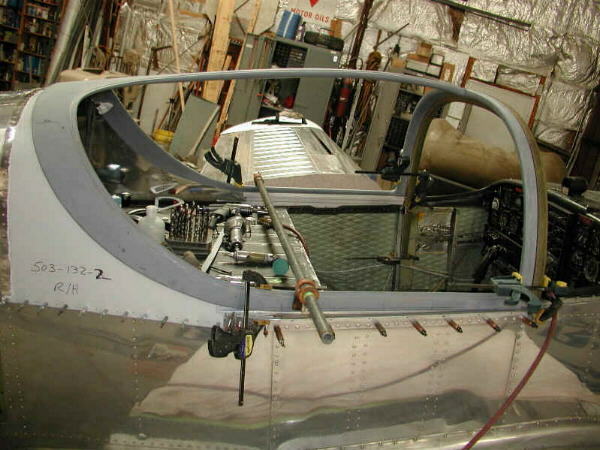 The finished flight test pitot head is installed on the Swift with associated plumbing and new, calibrated airspeed. A leak check was done of the system and we are now ready for flight test. Of course, as soon as we finished the installation, a weather front moved in with winds 35 gusting to 60. Not a good day to try to calibrate the new airspeed, so we had to wait until the weather improved to continue flight testing. Flight testing will consist first of calibrating the flight test pitot/static system then on to a full stall series at various weights, C.G. locations, and configurations. 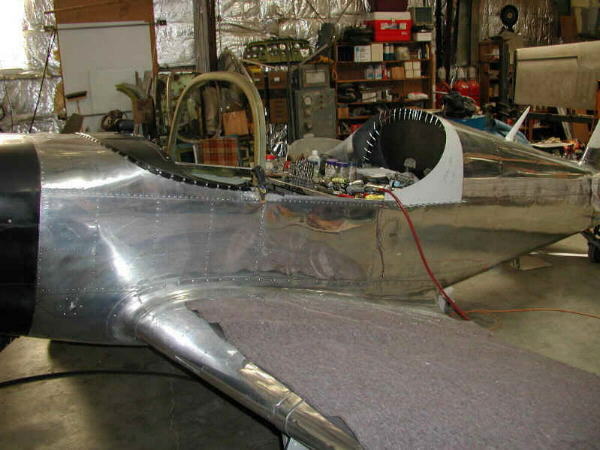 Once the company flight tests are finished a report will be forwarded to the FAA for evaluation, after which the FAA test pilot will come up and fly the plane. 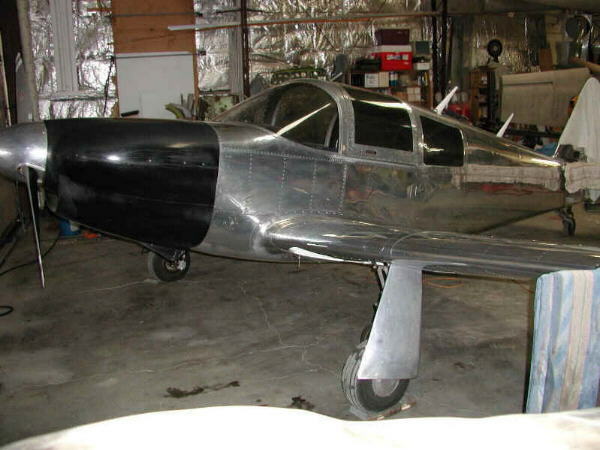 3 March 2008: The canopy was finished and the Swift had to be trailered to Minden since there was still snow on my runway. 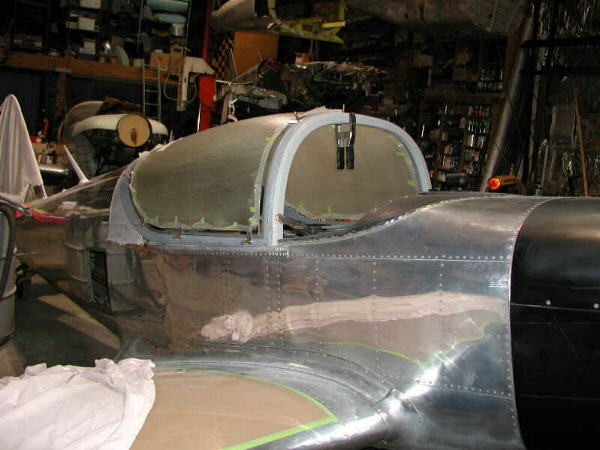 The wings were re-installed and the DAR came out and licensed the plane Experimental, R&D. 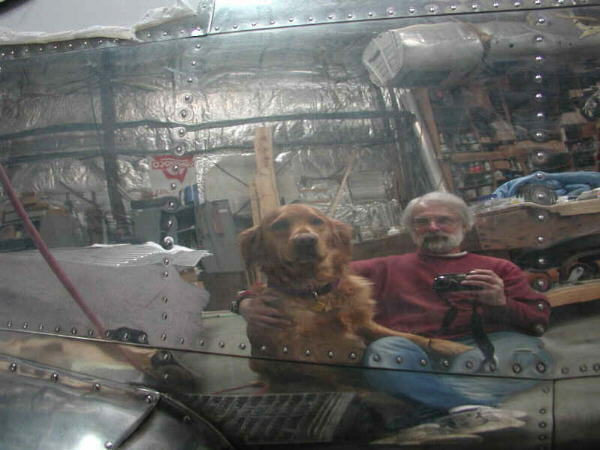 Of course as soon as the plane was licensed, the weather turned bad so I was not able to fly for a few days. This morning, March 3rd, I was able to get the first flight in. It was great! The optics of the glass are excellent. Flight testing will continue with a report to follow to the FAA. 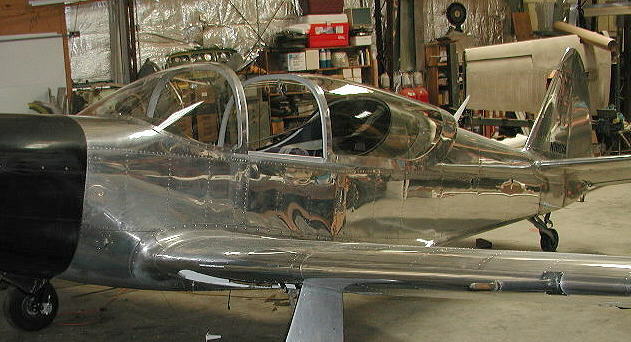 After the FAA reviews the report, the FAA test pilot will come up and do the "official" flight. 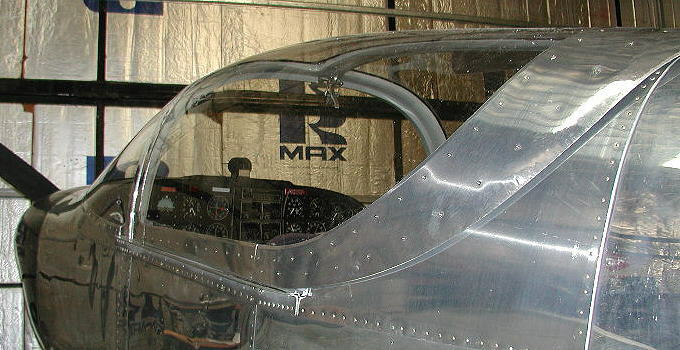 Application for the sliding canopy multiple STC was made in May 2003. A structural DER was hired to handle the structural analysis and the drawings and supporting documents were done in house. 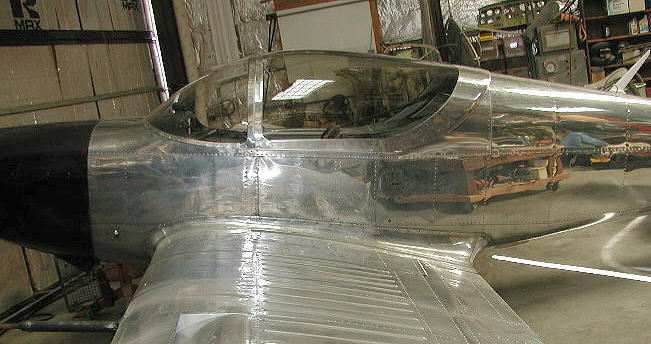 When the design was finalized, the tooling was made to make the windshield bow and canopy frame. The first parts were made and things were going forward, or so we thought. 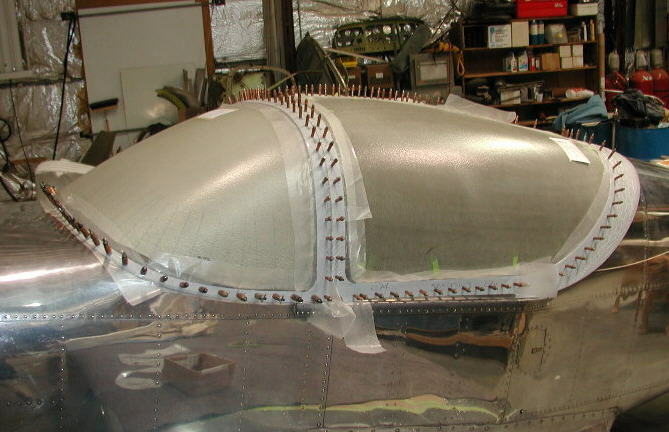 Then the FAA changed their policy on composites. 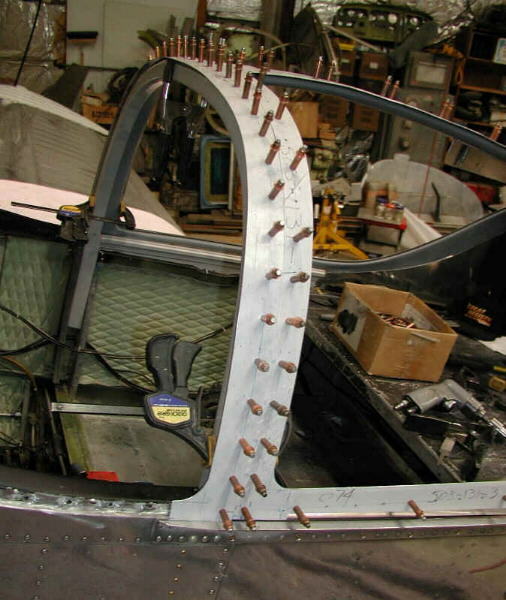 For structural parts, you now had to use one of their "approved" materials and processes. Ours weren't since that rule was not in effect when we started. Back to square one. 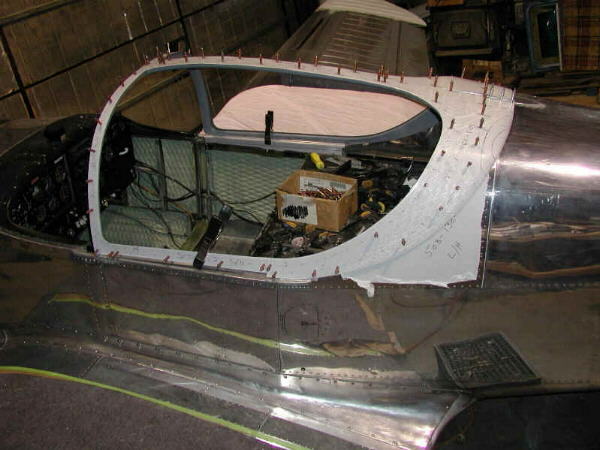 The FAA decided at this point that since they really didn't trust composites, we had to do a full structural test. This was a surprise since everything was to be analytical. Not only did we have to do a test to ultimate load, they wanted a 13% "fudge factor" on top of it. A test fixture was built and the windshield bow was loaded to 5,226# during an official test witnessed by the DER. 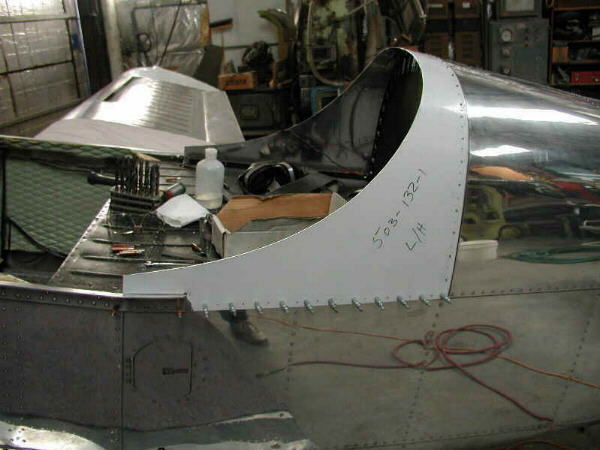 The bow deflected 7/16" under load and sprung back to it's original shape after the load was released. 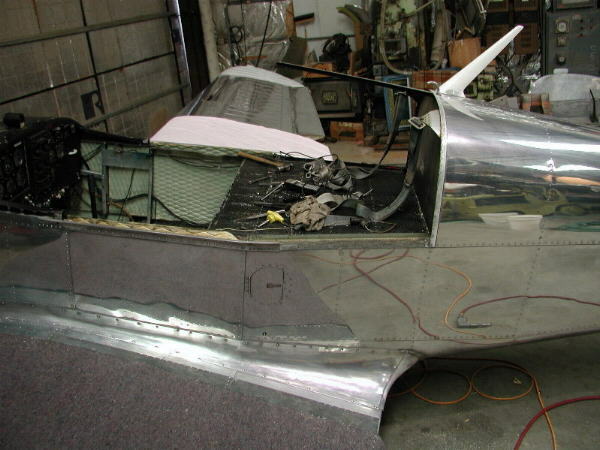 the plane was brought into the shop to start the installation. preparing for the TIA inspection, writing the flight test plan, and ultimately the FAA flight test. to issue the STC, then for MIDO to issue the PMA. There have been a lot of reflections during this time period and I'm sure more to come.